We enjoyed a very nice tour with Anne plus she gave us great suggestions for the rest of our stay in Paris. 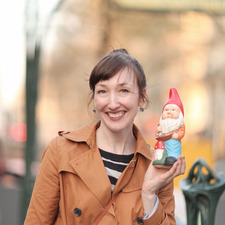 We like the Vayable model and Navigate Paris with Anne is a winner. A high recommendation for those looking for a personalized outing in this great City. All reviews by Craig G.
Had a delightful time with Craig and Lindsey. Wonderful couple, easy going, asked lots of good questions. Our time together flew by. All reviews for Craig G.